The rightful emperor is lost to the world, farther from the throne than ever before . . . The lord of the usurper clan has fallen ill, and further unrest looms . . .
Shikanoko has withdrawn to the furthest reaches of the country, leaving his allies stranded and the Spider Tribe unchecked . . . Lakes are drying up, rivers receding-have the powers of Heaven abandoned the Eight Islands? The Tale of Shikanoko began with an unusual game of Go, as young Shikanoko's father sat down to an ill-advised match against a tengu. Now, in the last chapter of The Tale of Shikanoko, the stones are arrayed in their final positions on the board. 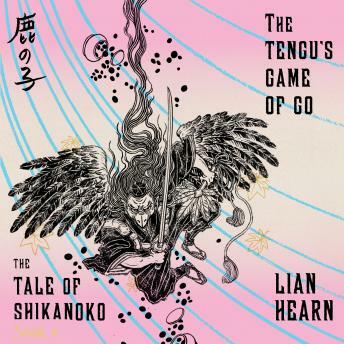 In The Tengu's Game of Go, all are forced to confront the missteps of the past, as the wrath of Heaven weaves tight around its mortal players. Hidden identities are revealed, loyalties are put to their ultimate test, and death appears around every corner. Throughout The Tale of Shikanoko, Lian Hearn has masterfully captured the thrilling danger and beauty of the medieval and magical. In the final installment, Shikanoko risks everything for fate and justice-an exhilarating ending to an unforgettable adventure.